The diagnosis of blepharospasm is not always easy, in particular in case of pretarsal blepharospasm, also called Apraxia of eyelid opening, mistaken quite often for ocular myasthenia. 1- what is ocular myasthenia? Myasthenia is an autoimmune disease, responsible of muscle weakness, affecting the all body and when localized to the muscles around the eyes, called ocular myasthenia. Ocular myasthenia can present with isolated droopy eyelids (medically called ptosis), due to a weakness of the levator muscles of the eyelids, the Levator Palpebrae, but is often associated with double vision, due to weakness of the oculomotor muscles. The weakness is worst at the end of the day, due to the fatigue of the myasthenic muscles. The diagnosis of ocular myasthenia is based on clinical findings, the presence of antibodies in the serum (30 to 60% cases) and the abnormal response of the muscles on repetitive electrical stimulation. Clinically the doctor can look for the “peek sign” by asking the patient to perform a sustained gentle eyelid closure; the fatigue of the orbicularis oculi will be responsible of a slight opening of the eye, as the patient peeking.! 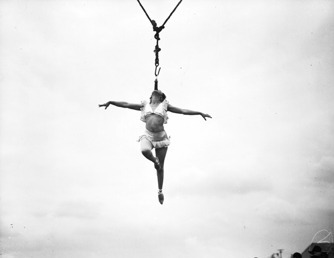 ( J. Glaser). 2- why so many patients with Blepharospasm are misdiagnosed with ocular myasthenia? -Blepharospasm patients can have a misleading presentation of ptosis, with intermittent droopy eyelids, due to the spasms of the pretarsal portion of the orbicularis oculi muscles (also described as pretarsal BSP) pulling down the eyelid like the string of a roller blind down to the window. -The words that patients used to describe their symptoms such as “my eyes are tired”, “my eyelids feel heavy”, “I feel more comfortable eyes closed” can indicate wrongly a muscle weakness of the eyelids, and reflect in fact the loss fight of the patients against the dystonic spasms closing their eyes. – the variability of the symptoms through the day ; in myasthenia the patient is worst at the end of the day; in BSP the patient is worst walking outdoors, driving, watching TV, looking up and with any bright light and dazzy winter light. -Lid watching is optimal when patients are keeping silent; BSP patients have an increased rate of blinking when being quiet and vice versa a low blinking rate when speaking. It’s the opposite of what observed in normal subjects. That may explain why patients find easier to keep her eyes opened when speaking and choose to sing when driving. -In the case of pretarsal BSP careful lid watching along the eyelashes, looking for a pulling down spasms of the eyelids is a good indicator of pretarsal spasms. – Also the patients sometimes can’t reopen their eyes, after a spontaneous blink or after a closing spasm. It can be for a fraction of second or for up to few minutes; the patient will flicker his eyelashes, or his eyelids to kick them opened. Sometimes it will be a forceful pulling of the eyelids with his fingers, stretching the skin around the eyes, even sometimes resulting in bruising. All these signs found on careful lid watching are good indicators of eyelids spasms, and not eyelid droopiness. They also direct the hands of the injector to the maximum spasms to achieve optimal results. 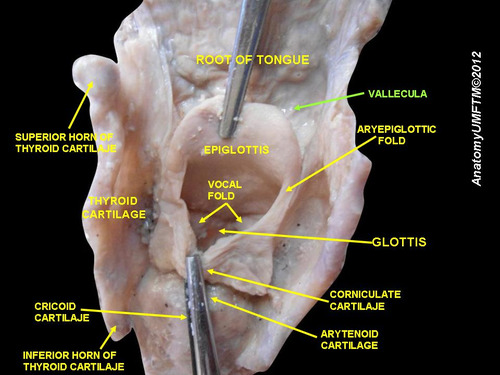 In the movement disorders field, most of the diagnosis are made by watching the movement; it’s particular true for eyelid dystonia and vocal cords dystonia where immobility does not always equal paralysis but also permanent tension due to the dystonia; one day I will ask my ENT colleagues to tell us about the art of vocal cords watching!!! Mental imagery is already used in high level sports competition, and athletes are trained to rehearse their race in their mind, to increase their performance. There are scientific facts, and anecdotal reports from dystonic patients to suggest that it may be very helpful on the long term. Real and mentally stimulated movements rely upon largely overlapping networks. In another words, writing or imagining writing involved common networks in our brain. Studies have shown that the mental imagery of a movement in patients with dystonia follows the same difficulties than the execution of the dystonic movement. A study by Fioro, 2006 has looked at the mental rotation of body part (hands, feet) in which the subjects imagine moving their body part, from their actual posture into that seen on a picture to recognise which side is belonged in patients with writer’s cramp. Writer’s cramp patients are slower than controls in mentally rotating hands but not feet; it suggests that the mental rotation of body parts reflects the anatomical constraints of real hand movements. Could the mind reshape the brain? Neuroplasticity is a normal process by which the brain develops new connections at different levels, following interaction with environment, emotions, behavior. Dystonia is understood to be a condition characterized by an excessive neuroplasticity of the brain leading to abnormal learning of motor program. To be able to influence this brain plasticity It’s important to create an environment for positive learning and recovery. Mindfulness can be helpful in patients with focal dystonia to minimise stress and increase well being before embarking for retraining. Retrain your brain, not your muscles! The visual and mental imagery training will encourage you to imagine successful, normal execution of tasks, which the dystonia prevents you to do.. Remember the time when you could perform the movement normally, and how easy it was to do it and the pleasure, which come with it. in the affected body part and together with sensory retraining. Try daily to visualize yourself free of the dystonia, walking eye opened, turning your head freely looking around you, writing a page with our favorite pen or chewing a delicious meal. 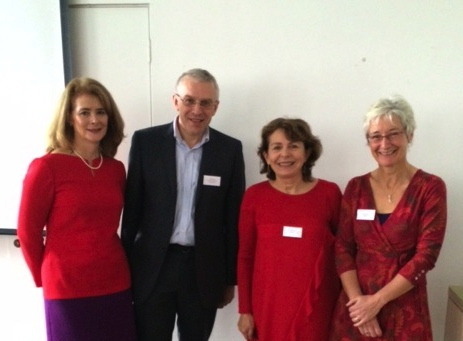 Ms Lucy Hicklin ENT, Mr Paul King chief executive Dystonia society UK, Dr Marie-Helene Marion neurologist and Carol Harris speech therapist. London living with dystonia event, on swallowing and speech problems on the 8th november 2014, London. Every day we swallow solid food like a piece of bread, water and our own saliva. This vital function occurs most of the time without us being aware of it, as a reflex. But in fact swallowing is a very fine and precise mechanism, which can be disrupted in a number of neurological conditions, the most common and dramatic one occurring after a stroke, but also in dystonia. 1- Doctors talks about swallowing difficulties as dysphagia, which is the difficulty moving food from mouth to stomach. 2- Swallowing difficulties can be severe leading to a misdirection of the food to the nose, or to the larynx (voice box) and the lungs, resulting in infection of the lungs called aspiration pneumonia (as the food has been sucked int the airways). 3- Swallowing difficulties are silent when there is no manifestation which will make the person aware of the swallowing problem, such as cough, choking, needed to drink to push down the food. 4- Swallowing difficulties are subclinical when the signs are so mild that they are overlooked such as cutting food into small pieces and taking a sip of fluid with each swallow. What are the essentials for good swallowing? 1- Of course the machinery such as the tongue, the mouth, the throat (the pharynx) the voice box (the larynx), the oesophagus (gullet) have to be healthy. Issues apart from neurological problems, such as a tumour, could obstruct the swallowing process. 2- The nervous system has to be able to conduct in an orderly fashion the different sequences of the swallowing, like a conductor with his musicians; only one “ fausse note” can disturb the all process. It’s called neurogenic dysphagia. What are the sequences of the swallowing? 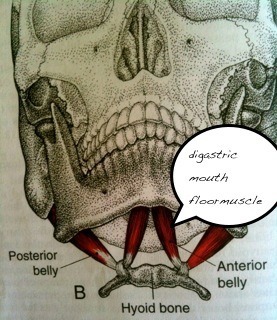 1- The oral phase: the food is collected in the mouth as a soft mass of chewed food, called a bolus. 2- The pharyngeal phase: the swallowing reflex is triggered by the bolus touching the back of the throat, which give a signal to the brain ( cortex and brainstem) to start the safe guard process: the airway needs to be protected by elevating and closing the larynx and by lifting the soft palate to close the back of the nose. The door to the oesophagus (the crico-pharyngeal sphincter) opens to let in the bolus which has been propelled downwards by the back of the tongue and the pharyngeal muscles. How can swallowing difficulties be assessed? 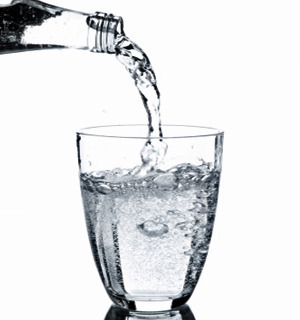 1- -During a consultation, a speech therapist will examine the tongue strength, gag reflex, voluntary cough, and speech and perform a trial of swallowing (water, puree) and/or a 3 ounces (90 ml) water test. 2- FESS (fiberoptic endoscopic evaluation of swallowing). A fine “spaghetti “( fibre-optic) tube, with a camera at the end, connected to a screen, is introduced by the nose and passed gently down to the throat. With the camera in place the patient is asked to swallow a food of different consistencies. The food is normally dyed blue or green to make it easy to see against the pink of the gullet. The speech therapist performing the test can see where it is going, particularly if it is getting stuck or going down into the airway (aspiration) . 3- Videofluoroscopy is video-radiography of the mouth, throat and oesophagus when the patient swallows a range of foods (biscuit, puree, yoghurt) and liquids that are coated in barium. The barium shows up on the x-rays (radio-opaque). On the video the radiographer can follow the trajectory of what has been swallowed. 4- Recording the swallowing process with electrodes in the muscles under the chin and movement sensors on the Adam’s apple can give a good indication of the timing of the different swallowing phases. It’s called an electrophysiological assessment. What about swallowing difficulties in dystonia, in untreated patients? Very few studies have addressed this topic. Most have concentrated on the swallowing difficulties in dystonic patients following treatement with Botulinum toxin injections. I will present 5 studies of swallowing difficulties in patients with cervical and craniocervical dystonia, before treatment. 1-Riski et al (1990) studied 43 patients with cervical dystonia with videofluoroscopy and found that 51% of the patients had swallowing difficulties; in 16% the difficulties were subclinical (not known by the patient). The patients had mainly a delay in triggering the swallowing reflex and some residue in the vallecula (a groove, behind the base of tongue, usually cleared by the posterior movement of the base of tongue). 2–Comella et al (1992) studied 18 patients with cervical dystonia with videofluoroscopy before and after Botox injections; 11% patients had clinical symptoms of swallowing difficulties and 22% had radiologic signs of peristaltic abnormality.. after Botox (see below), the signs and symptoms of dysphagia in these patients did not change, but an additional 33% developed new dysphagic symptoms and 50% of the patients developed new peristaltic abnormalities by radiologic studies. 3- Munchau et al (2000) studied 12 patients with cervical dystonia undergoing selective peripheral denervation with videofluoroscopy. 90% patients had swallowing abnormalities with 58% subclinical. The patients presented as in the Riski’s study, with delayed initiation of the swallowing reflex and abnormal tongue base posterior movement, in particular in patients with saggital shift of the head. The subclinical dysphagia was mainly cutting food into small pieces and taking a sip of fluid with each swallow. 4–Ertekin et al (2002) studied 25 patients with cranio-cervical dystonia with electrophysiological assessment. . 36% had clinical dysphagia and 72 % had abnormal swallowing on electrophysiological recording with again delayed swallowing reflex ; also the sphincter ( the crico-pharyngeal muscle) which opens the oesophagus was hyperactive, instead of being relaxed during swallowing to let the food going through. Ertekin developed the concept of the dysphagia limit. In this simple test patients are asked to swallow volumes of water ranging from 1ml to 20mls. In patients with clinical swallowing problems only 1-10 mls can be swallowed in one go. In subclinical patients 10-15mls can be managed. All normal subjects could swallow 20mls in 1 gulp. What about swallowing difficulties in dystonia in Botox dystonic patients? Botulinum toxin injections, by weakening adjacent muscles, have been responsible of transient dysphagia in dystonic patients. The different types of dysphagia depending of the sites of the Botox injections have been detailed in a previous post. Swallowing difficulties are often silent or subclinical in dystonic patients. Patients and doctors need to speak about them as these swallowing difficulties can be worsened by Botulinum toxin treatment administered for the treatment of the dystonia. Maybe every injector needs to offer a drink to their dystonic patients before treating them! It may be well received….. Prospective study of swallowing function in patients with cervical dystonia undergoing selective peripheral denervation; A Munchau, C Good, S McGowan, N Quinn, J Palmer, and K Bhatia; J Neurol Neurosurg Psychiatry. Jul 2001; 71(1): 67–72. 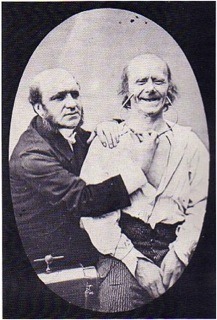 A good knowledge of the dystonia is important for a patient to become actor of its treatment. The Dystonia society UK asked me to answer to the most frequent questions coming from their members. Please follow this link if you want to watch this video posted on the Facebook pageof the Dystonia society. I hope it will contribute to a better understanding of dystonia by the patients themselves and help them to cope better in their daily life. Why Spasmodic dysphonia is often mistaken for a functional disorder? Spasmodic dysphonia, also called laryngeal dystonia, is a neurological disorder, responsible of a strangulated, strained voice and rarely of a whispering voice, which has a major negative influence at work and in personal life. Patients with spasmodic dysphonia require to be distinguishing from patients with functional dysphonia and from patients with “muscle tension dysphonia” (MTD) which is also considered a functional disorder rather than a neurological disorder. 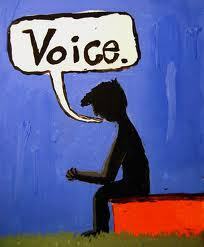 Many reasons can explain why spasmodic dysphonia , which is a dystonia of the larynx, is not well recognized by doctors. 1- Laryngeal dystonia is a rare condition (1/100 000), and like other focal dystonia, the diagnosis is clinical; if you have never heard somebody with spasmodic dysphonia speaking, it will be very difficult to recognize it. 2- It mainly occurs in women, who carry the stigma of being more vulnerable for functional disorders. 3- The onset can be sudden in 45% of the cases (Childs, 2011). Sudden onset is also a characteristic of functional disorders. 4- When the onset is sudden, the majority of patients recognized triggering factors such as stress (42%), upper respiratory infection (33%), and pregnancy and parturition (10%). (Childs, 2011). Stress should be seen as a non-specific triggering factor making patients vulnerable to develop any medical conditions, and not specifically functional disorders. 5-A phobic component occurs very quickly after onset, as the patient avoid answering the phone, and speaking in public as it’s required such an effort to speak in these circumstances. 6-It’s a task specific condition as every focal dystonia,; spasmodic dysphonia occurs when speaking, and voice can be normal for singing or shouting. This task specific characteristic can be disconcerting for both the patient and the doctor. At the difference, functional dysphonia is responsible of a permanent speech disturbance, with a whispering voice or a hoarse voice occurring when speaking, and impossibility of shouting or singing. 7- “Muscle tension dysphonia” (MDT) patients tend to exert too much effort on their vocal cords when speaking and can present with a strained voice, as spasmodic dysphonia. 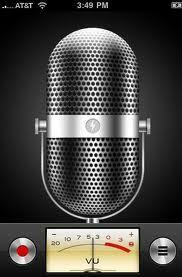 But when examining the speech in details, three tasks: sustained vowel /a/, oral reading of a standard passage, and connected speech describing a standard picture have to be performed, as the spasmodic dysphonia could be more apparent in the connected speech situation, compared to MDT. It’s very important to diagnose spasmodic dysphonia, as Botox injections into the vocal cords can alleviate the symptoms and restore confidence for effortless speaking. At the London BTX centre, in Sloane Square, Dr. Marie-Helene Marion offers multidisciplinary clinics with voice specialists for the diagnosis and treatment of spasmodic dysphonia with Botox injections. How does my jaw move? The functional anatomy of the jaw is essential to understand dystonic movements of the jaw when a patient is eating or speaking. The chewing movements are extremely complex and I will detail only the main posture of the jaw, following dystonic spasms. The jaw can move in a lateral plan, the jaw going side to side or going down and to one side, called deviation of the jaw. 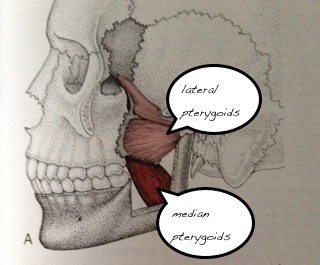 The masticatory muscles, responsible of these movements are 4 pairs of muscles ( masseters, temporalis, median pterygoid and lateral pterygoid muscles) and the mouth floor muscles ( supra-hyoid muscles). A combination of these movements is usually involved in the dystonic spams of the jaw. The video recording of a patient when chewing can be very helpful for analysing in details the dystonic spasms. 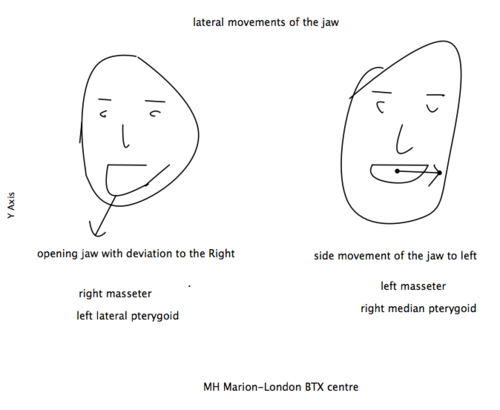 Dr MH Marion at the London BTX centre, is specialised in the treatment of dystonia, and injects under electromyogram guidance the masticatory muscles involved in oro-mandibular dystonia. My jaw is out of control when speaking or chewing: what does it mean? Eating is a simple pleasure of life and a necessity. Biting into a biscuit could require a tremendous effort when the movements of the jaw become out of control. The automatic movements of the jaw and the tongue, which allow us to eat or speak, can be disrupted by involuntary jaw spasms. What are the causes of jaw spasms? 1-Idiopathic jaw dystonia is the most common cause of jaw spasms. The onset is between the age of 50 to 60 and it is more frequent in women. Dental works can trigger it. It’s called idiopathic dystonia as no underlying disease can be found. A genetic mutation has been identified in familial form of jaw dystonia ( DYT6). 2-Tardive jaw dystonia can follow a treatment with drugs used for the treatment of psychosis, called neuroleptics. 3- Hereditary disease affecting the brain is often the cause of jaw spasms occuring in young people, under the age of 20. 4- Hemi-masticatory spasms is usually a consequence of radiotherapy of the jaw area for cancer of the ENT sphere. In that case, the spasm is painful and affecting one side of the jaw with sudden, unexpected painful clenching of the jaw. Are there different types of jaw dystonia? 2-The jaw spasms can be opening spasms, responsible of difficulties to keep the mouth closed and to keep the food into the mouth. Often the tongue is involved and has a tendency to poke out the mouth. The movement involved in eating and speaking are incredibly complex and the dystonic spasms can be a combination of opening, deviation to one side and going backward or forward. 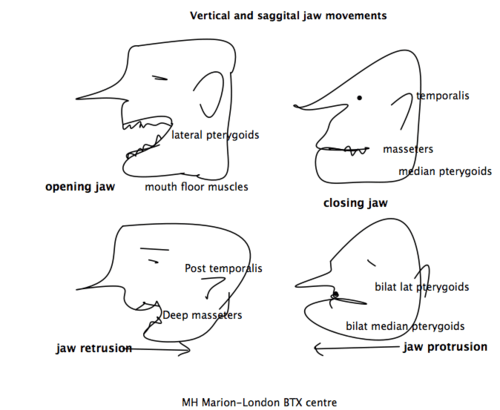 What are the characteristics of jaw dystonia? The jaw spasm occurs in any attempts of eating and/or speaking, therefore the diagnosis requires looking at the patient performing these tasks. The doctors should have a box of biscuit available to examine their patients with dystonia! The spasm are relieved by some tricks like keeping a sweet in the mouth or a chewing gum, sucking a matches or the temples of their spectacles. How to treat jaw dystonia? The most efficient treatment is the Botox injections of the masticatory muscles. 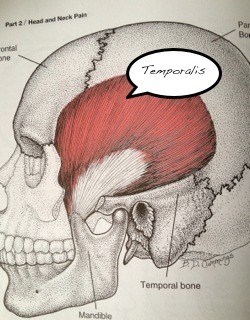 -The muscles, which open the mouth, are the lateral pterygoid and the mouth floor muscles. 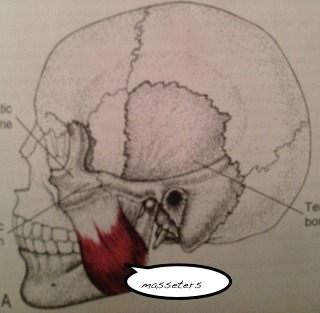 ‘Some of these muscles are superficial and easy to inject ( masseters, temporalis,mouth floor muscles), some are deeper (median an lateral pterygoid muscles) and requires to be injected with electromyography guidance. The difficult part is to analyse the abnormal movements and understand which muscles are involved in the dystonia. It can take many injections sessions, to get the spasms under control. The 2 limiting factors are the swallowing difficulties, due to the spread of the Botox , in particular when the tongue muscles have to be injected. Starting with small doses and increasing gradually the dosages is advisable. The human masticatory muscles are very strong, in particular the muscles which closed the mouth; just think of the acrobats in a circus who get suspended by biting a mouthpiece. 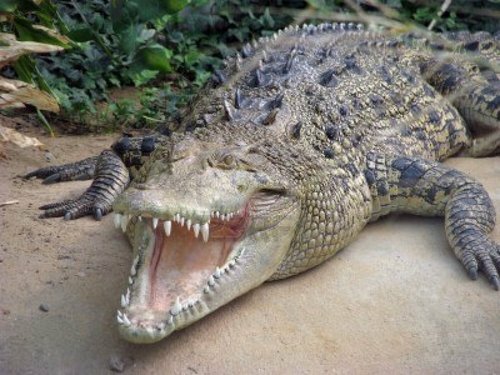 But at least injecting jaw muscles in human is possible if we compared them to the jaw clamping muscles of the crocodiles, which are extremely strong, and as hard as bone. Dr Marie-Helene Marion is a specialist in Botox treatment for jaw spasms, and in particular for jaw and tongue dystonia. 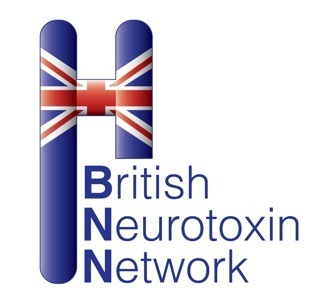 The 3rd British Neurotoxin Network annual meeting was hold in Oxford last week; 74 Botulinum toxin injectors gathered for all over UK in the superb location of Keble college. The program covered both practical and scientific aspects of botulinum toxin and dystonia. 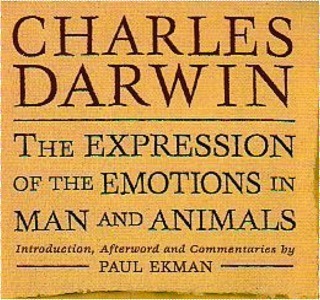 I gave a pre dinner talk on facial expression of emotions, looking on how the concepts have evolved from the 19th century with Charles Bells ‘s anatomical dissection of the facial muscles, to the 21st century with the influence of facial Botox injections on our expression of emotions.The collaboration of Duchenne de Boulogne with his neurophysiology study and Charles Darwin on expression of emotions in man and animals contributes to the present understanding of the universality of expressions and the recognition of basic emotions on a face, which was confirmed by Paul Ekman, an American psychologist.The Botox has been used as a research tool in the 21-st century to understand the relation between emotion and facial expression. Repressing the expression of emotions by too much cosmetic Botox or by neurological conditions such as facial palsy could disturb in return our ability to perceive emotions. The following morning was dedicated on reviewing the techniques and indications of the treatment of drooling by Ms Helen Witherow, maxillo-facial surgeon in London, the treatment of jaw dystonia by myself and the comparison of 2 techniques of injection: either electromyographic guided or ultra sound guided injection by Dr Sabine Klepsch , neurophysiologist in Bristol. Ms Catharina Pearce, medical student from Cardiff presented the results of a national survey on the use of Botulinum toxin in pregnant women. In the afternoon the lectures were focusing on new concepts in dystonia and in particular the attempt of defining a new endophenotype (heritable clinical markers) for adult onset focal dystonia by Dr Sean O’riordan from Dublin and Dr Richard Grunewald from Sheffield. 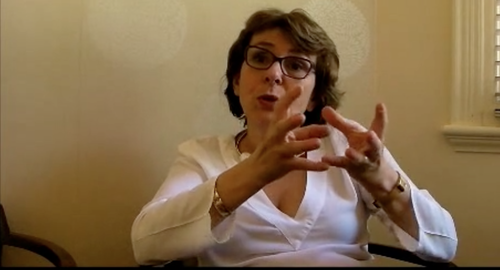 Outside the Botulinum toxin treatment, Mr Alex Green, neurosurgeon in Oxford, explored the effect of Deep Brain Surgery on dystonia and Mr Richmond Stace physiotherapist in London, the basis for retraining of cervical dystonia. A video session, where colleagues were presenting video of dystonic patients with unexpected outcome, was animated and the opportunity again to share our individual approach to treatment. The meeting was also a great opportunity for the secretary Mr Bells to update the UK maps of the service using botulinum toxin for treating neurological conditions. it’s accessible to anybody who is looking for a specialist centre to be treated for dystonia in particular.